This course is an introductory overview of the ancient civilizations of the Bronze Age (3000-1100 BCE) Aegean: Crete, the Cyclades, Mainland Greece, and Western Anatolia. It is intended to expose you to the sites, monuments, art, and artifacts of these cultures and to understand the way a variety of evidence is used to reconstruct history. The evocative, yet still enigmatic remains of palaces and funerary complexes, frescoes and vase-paintings, and precious worked objects will be closely examined in terms of their forms and cultural contexts. Emphasis will also be placed on comparison of the cultures and their material evidence to see how each evolved, to define similarities and differences, and most importantly, to examine the possible influence from cultural exchange, including the place of prehistoric Greece in the international world of the eastern Mediterranean. The golden age of kings and heroes, about whom Greek poets like Homer sang, seemed all but lost in the mists of time until the spades of Heinrich Schliemann and Arthur Evans began uncovering the vast palaces at Mycenae and Knossos at the end of the nineteenth century. Since then, the quantity of excavated remains has grown enormously, revealing over 2000 years of sophisticated and wealthy early civilizations. P. Betancourt, Introduction to Aegean Art, 2007. L. Schofield, The Mycenaeans, 2007. R. Higgins, Minoan and Mycenaean Art, new rev. ed., 1997. 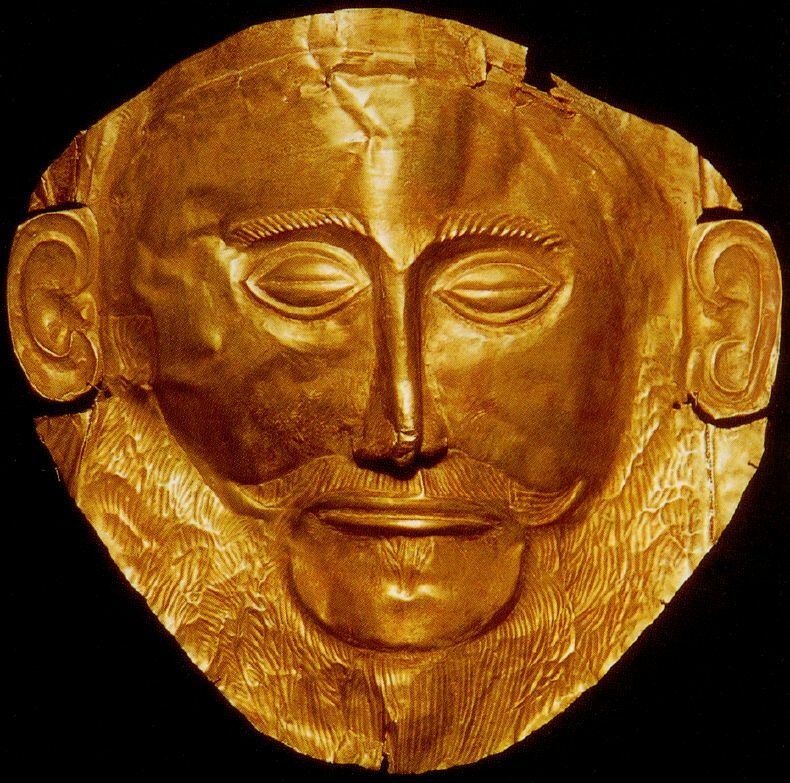 O. Dickinson, The Aegean Bronze Age, 1994. C. Shelmerdine (ed. ), The Cambridge Companion to the Aegean Bronze Age, 2008. E. Cline (ed. ), The Oxford Handbook of the Bronze Age Aegean, 2010. D. Preziosi and L. Hitchcock, Aegean Art and Architecture, 1999. C. Broodbank, An Island Archaeology of the Early Cyclades, 2000. G. Cadogan, The Palaces of Minoan Crete, 1991. J. Chadwick, The Decipherment of Linear B, 2nd ed., 1967, reprinted, 1992. J. Chadwick, The Mycenaean World, 1976. T. Cullen, Aegean Prehistory: A Review, 2001. E. French, Mycenae: Agamemnon’s Capital, 2002. S. Hood, The Arts in Prehistoric Greece, reprinted 1994. S. Iakovidis, Late Helladic Citadels on Mainland Greece, 1983. S. Immerwahr, Aegean Painting in the Bronze Age, 1990. M. Wood, In Search of the Trojan War, 1998. E. Vermeule, Greece in the Bronze Age, 1964.